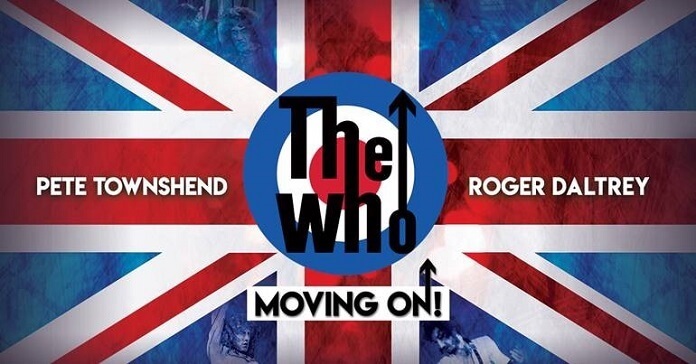 The Who’s Roger Daltrey and Pete Townshend just announced details of their 2019 tour, “Moving On!,” kicking off on May 7th in Grand Rapids, MI. The North American tour will stop in 29 cities including Nashville, Chicago, Detroit, Atlanta, Los Angeles, and Houston before wrapping up on October 23rd in Edmonton, AB. Joining singer Daltrey and guitarist/songwriter Townshend on stage for the tour will be guitarist/backup singer Simon Townshend, keyboardist Loren Gold, bassist Jon Button, and drummer Zak Starkey. The band is expected to put out their first album in 13 years in 2019. Tickets for the “Moving On!” tour go on sale to the general public on Friday, January 18, 2019 via LiveNation.com. Fan club members can participate in a special presale beginning Wednesday, January 16 at 10am local time through Thursday, January 17 at 10pm local time. $1 from each ticket purchased will be donated to Teen Cancer America.